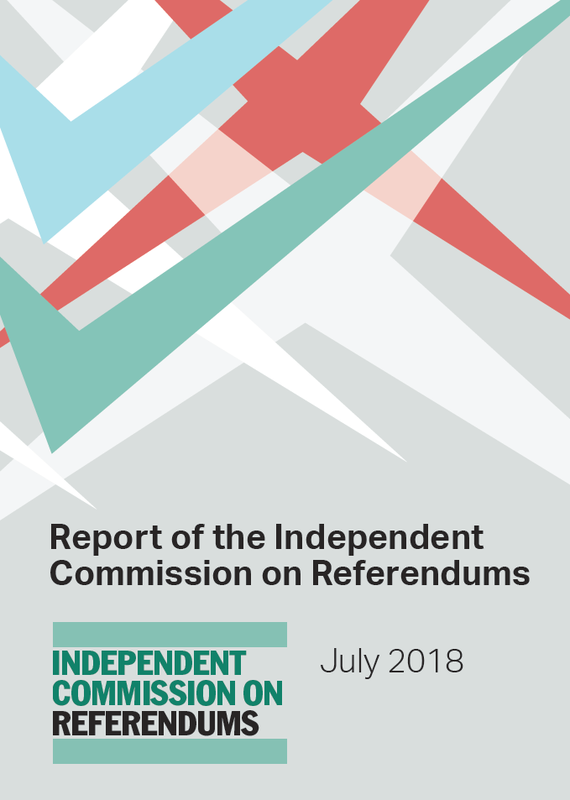 The results of the Electoral Commission’s latest public opinion survey on the experience of participation in elections have been published today. Phil Thompson, the Commission’s Head of Research, outlines the results. Overall the findings are positive, with confidence that elections are well run increasing by from 66 per cent to 76 per cent in the last year. Satisfaction with the voter registration system has also increased, from 75 per cent to 80 per cent. 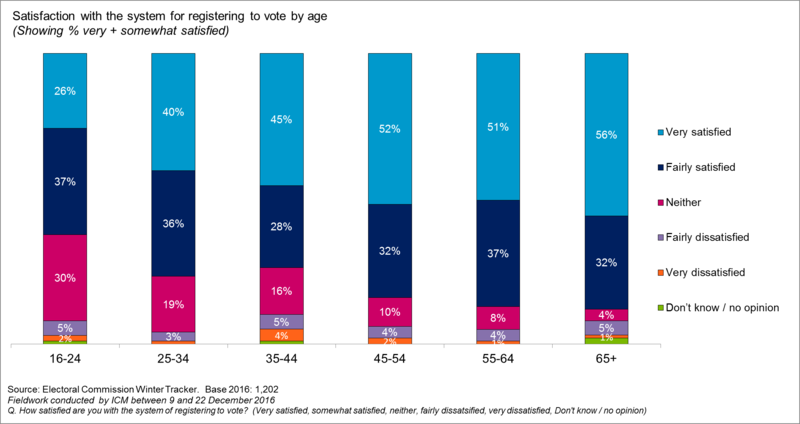 However, satisfaction continues to be lowest among younger age groups which are the least likely to be registered to vote. The Electoral Commission aims to put voters’ interests at the centre of everything we do. To achieve this, it’s essential to find out how people think and feel about the electoral process. Like many organisations, we use public opinion research to help us do this. We conduct a public opinion survey after every poll held in order to monitor the experience of participating in specific elections. In addition, we conduct the ‘Winter Tracker’, an annual UK-wide survey, every December. 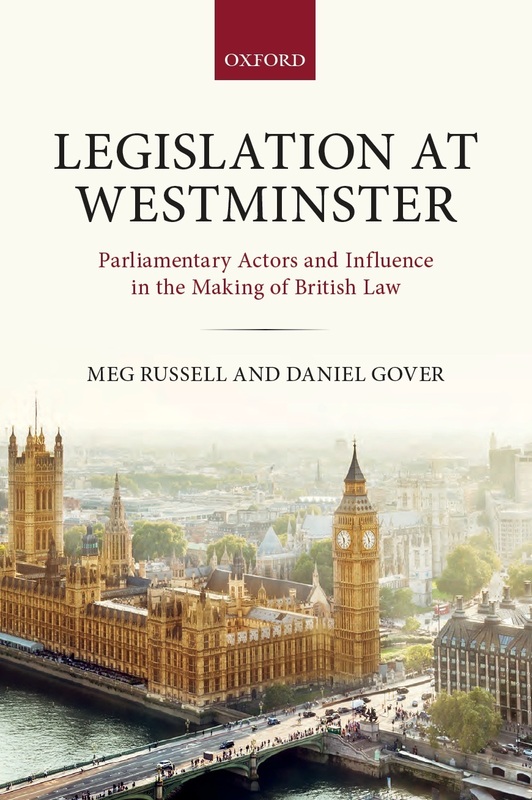 This covers a range of electoral issues and is designed to provide an overview of public sentiment towards the process of voting and democracy in the UK more broadly. After the significant polls of 2016, the results this year show that confidence in and satisfaction with the system overall have improved. 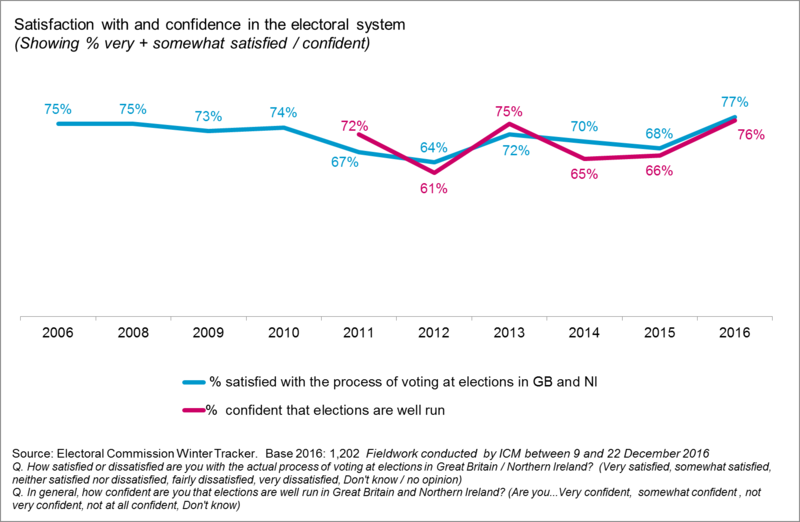 Three quarters (76 per cent) are confident that elections are well run in Great Britain and Northern Ireland, compared to 66 per cent in 2015. In line with this, 77 per cent said that they are satisfied with the process of voting at elections, up from 68 per cent in 2015. As might be expected, those that participate in the electoral process tend to have a more positive view of it than those that do not. Those that say they ‘always vote’ are significantly more likely to say that they are confident that elections are well run (82 per cent) than those that say they ‘sometimes vote’ (62 per cent) and never vote (48 per cent). 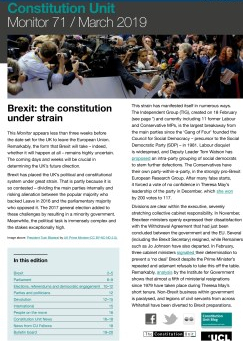 The overall increase in satisfaction and confidence could in part be explained by the high levels of electoral engagement witnessed in 2016, where much of the UK electorate had the opportunity to cast their vote in May and then again in June. 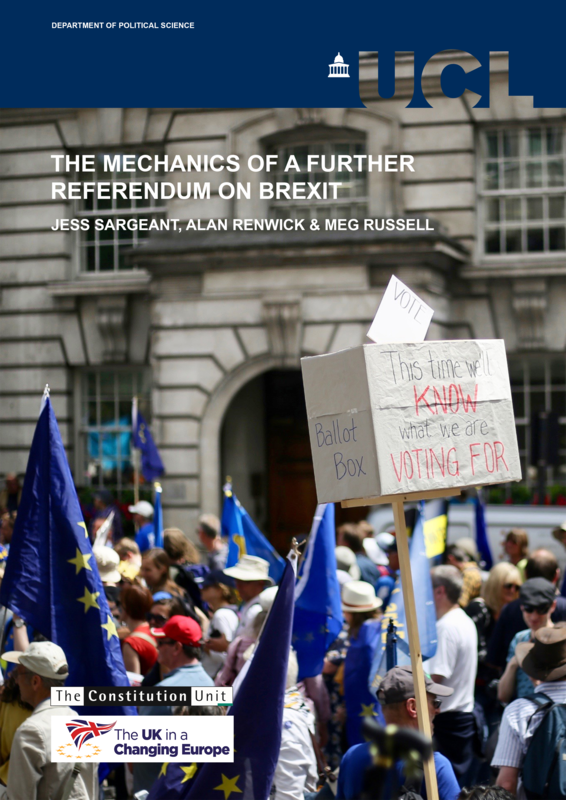 Indeed, June’s referendum on the UK’s membership of the European Union saw the highest UK turnout since 1992. Encouragingly, a year after the end of the transition to individual electoral registration (IER), the results show that views on registering to vote are also more positive. Levels of satisfaction with the system have increased to 80 per cent, up from 75 per cent in 2015. The majority (73 per cent) also feel confident that the personal details they provide in order to register vote are held securely, up from 68 per cent in 2015. This being said, it is clear that improvements can be made. Satisfaction with the registration system is still lowest among younger age groups, those which our research consistently identifies as the least likely to be registered. 63 per cent of 18-24s (16-24s in Scotland) and 77 per cent of 25-34s say they are satisfied with the registration system; this compares with 89 per cent among over 65s. Despite this difference in satisfaction levels, there is a broad consensus across age groups about what can be done to improve the registration system. More than half (56 per cent) indicate that a more ‘direct’ form of registration, either automatically registering people when they reach voting age (36 per cent) or updating an entry when someone moves home (20 per cent) would make them more satisfied. This makes sense; we know that recently moving house is one of the key reasons for people not being registered. For a quarter (24 per cent) the ability to check online if you are registered is most appealing. This is unsurprising given how many people contacted us in the run up to the referendum attempting to check their registration status. Data provided by local authorities suggested that close to 40 per cent of the applications to vote in advance of the referendum were from people already registered. The public are similarly decisive about the fact that increased transparency around political parties and their financial arrangements is the most important way elections and democracy in the UK can be improved: 40 per cent say this would help. 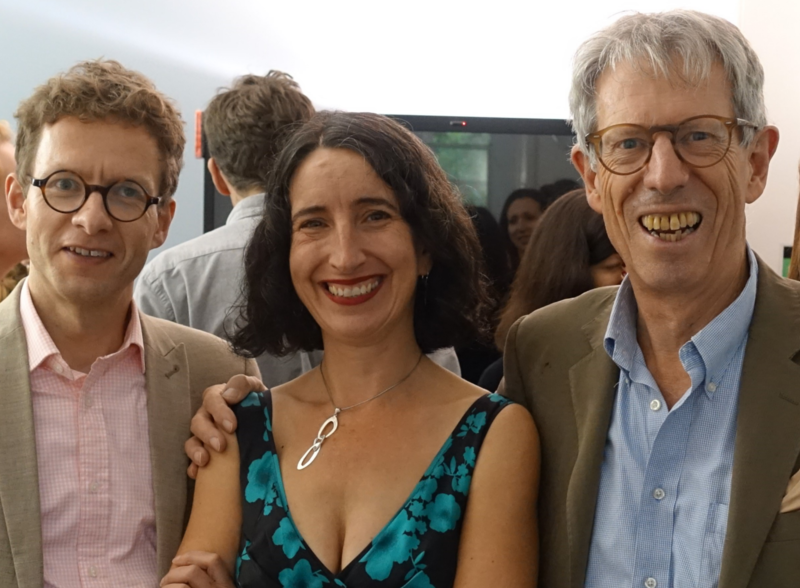 These findings chime with key Electoral Commission priorities, the data we publish on political party finance, including donations, underpin our commitment to ensuring that the income and spending of parties and campaigners is open and transparent. The findings also strongly echo themes that emerged from the submissions we received in the summer as part of our Strategic Review consultation. The introduction of photographic ID, the development of a process for checking registration status online as well as more automatic forms of voter registration are all measures we have called for in the past and are integral to ensuring that our electoral system keeps pace with the expectations of 21st century voters. We will continue to champion the modernisation and development of the electoral process where we identify room for improvement. Our public opinion work is a big part of the way we measure the health of our democracy, and will help us make sure we get right what matters most to voters. Fieldwork was conducted by ICM who conducted 1,202 telephone interviews between 9 and 22 of December. More details on the methodology and the full results of the survey can be found on the Electoral Commission’s website. Phil Thompson is Head of Research at the Electoral Commission. This entry was posted in Elections and referendums and tagged Electoral Commission, electoral system, Individual Electoral Registration, Phil Thompson, Winter Tracker. Bookmark the permalink.